Bringing together the raw power and excitement of sliding behind the wheel Lamborghini together with the comfort and over-the-top styling of the world's most classic luxury cars, the Audi R8 delivers a one-of-a-kind driving experience. This luxury Audi R8 car rental Miami is the perfect vehicle to take you from a day at the beach, soaking up the South Florida sunshine, to a night on the town at Miami's hottest night clubs in legendary, head-turning style. As Audi AG owns Lamborghini, much of the Audi R8's design is inspired by the Lamborghini Gallardo, including the chassis and transmission. The R8 is made distinct by its awe-inspiring exterior styling as well as its interior luxury and sophisticated cabin design. 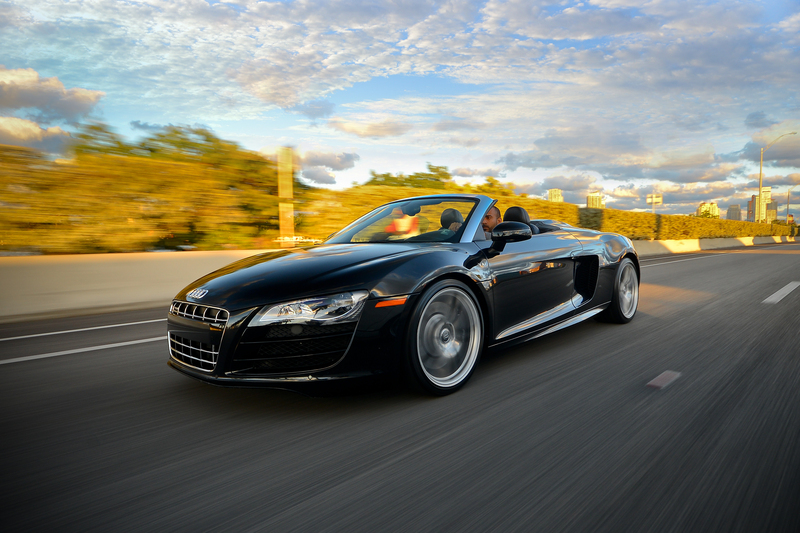 From the powerful V8 engine to the luminescent LED lighting - everywhere; headlights, running lights, turn signals; even the engine bay glows at night - an Audi R8 luxury sports car rental is THE way to experience all that the heart of South Florida has to offer, all while literally sitting in the lap of luxury.